Read in full page or frame-by-frame mode as the sounds of MossTown envelop you. 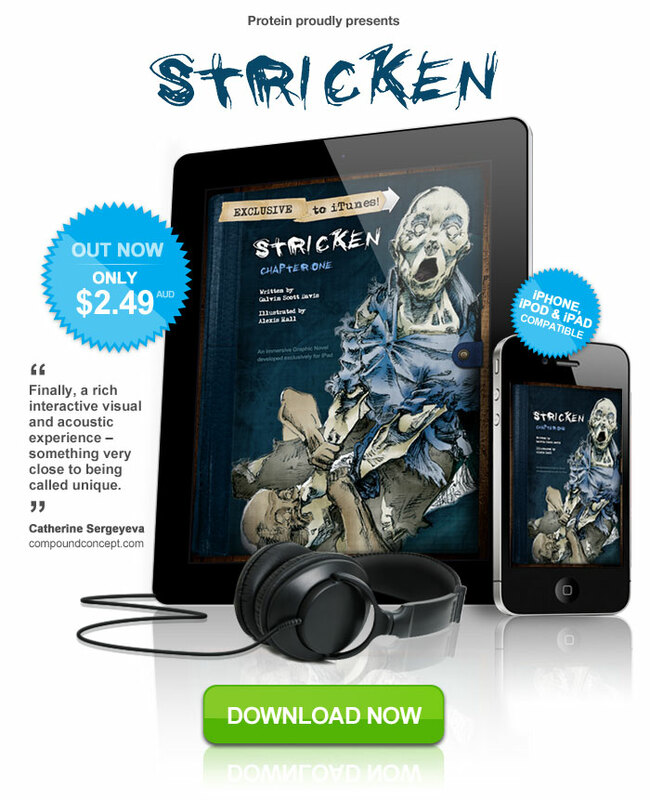 Dare you enter the world of Stricken? through more than 140 cells of hand-crafted illustrations.